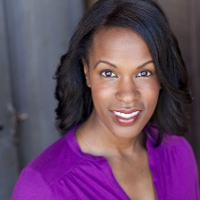 KONA N. BURKS: Chicago credits: Harvey (Court); The Snowy Day (Emerald City Theatre); The Grapes of Wrath (The Gift Theatre); Domesticated, How Long Will I Cry (Steppenwolf Theatre); Heaven, How I Got Here (Provision Theatre); People (Redtwist Theatre); Saturday Night, Sunday Morning (Prologue Theatre at Steppenwolf’s Garage Rep); Small (Open Door Repertory), Intimate Apparel, Crumbs From The Table of Joy (Illinois Theatre Center); Levi James, The Trip, and A Fool Such As I (ETA). Kona is a member of SAG-AFTRA. She attended The School at Steppenwolf, earned a B.A. from the University of Illinois at Urbana-Champaign, and earned an M.A. from the University of Illinois at Chicago.